I just returned from my 13th consecutive journey to the NFL Scouting Combine in Indianapolis. It is probably my favorite road trip. I get a chance to talk football with coaches, scouts, personnel executives and writers. It’s a phenomenal learning opportunity. You can’t focus on everything when you watch coaching tape, and hearing different perspectives and points of view was really rewarding. One thing that kept coming up was the tight end position and its impact on the game. The tight end is now a movable chess piece, a gifted athlete who can align anywhere in the formation. We have come a long way since the 1995 draft, when the two tight ends taken in the first round, Kyle Brady with the ninth overall pick and Mark Bruener with the 27th, were primarily blockers in the run game. As we move toward the 2012 season, the tight end has evolved into a dynamic receiving threat who can threaten all levels of the defense and cause all kinds of coverage problems. So the question, in this constantly changing NFL world, is how do defenses match up to the likes of Rob Gronkowski, Aaron Hernandez, Jimmy Graham, and Vernon Davis? They represent the new frontier of offensive football, and it is only in its infancy. The defensive coaches I spoke with all addressed this issue, and they did so voluntarily. One common theme was the increased importance of the safety position — more specifically, the need to find safeties who can cover man-to-man. In the not-too-distant past, safeties were rarely viewed as players to be chosen in the first or even second round of a draft, unless they were believed to be truly special athletes. The conventional wisdom was you could always find a quality safety in the third or fourth round, like a Chris Hope, chosen in the third round in 2002. Hope has been an eight-year starter with Pittsburgh and Tennessee with a Pro Bowl season in his tool kit. The reason behind that thinking made sense. Safeties predominantly fit into two categories: physical box safeties and rangy deep safeties. When teams played “Cover 2,” with the deep part of the field cut in half, the need for speed and range was somewhat minimized. 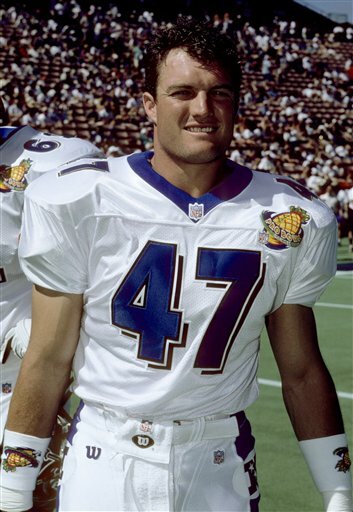 A great example of this Cover 2 fit was John Lynch, a nine-time Pro Bowl safety on the Bucs’ great defenses of the late 1990s and early 2000s. By the way, Lynch also was a third-round pick. As good as Lynch was, and he was terrific, would he be a dinosaur in today’s NFL? If you play in the AFC East against Gronkowski and Hernandez, or the NFC South against Graham, or the NFC West against Davis, you need safeties who can cover or you will have matchup issues. Offenses are so good with their use of personnel and formations that if you have a coverage weakness at safety, they will find it and exploit it. 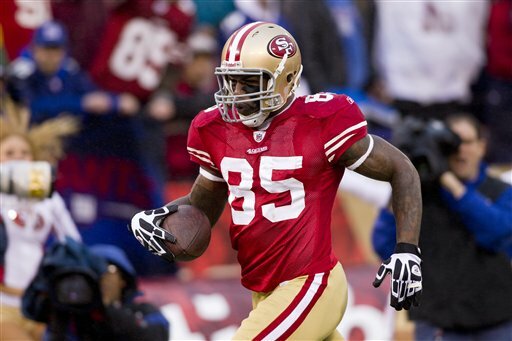 Remember the NFC playoff game between San Francisco and New Orleans? Late in the fourth quarter, Davis split wide left as a wide receiver. He ran right by Malcolm Jenkins and caught a 37-yard fade route. You will not win the AFC East if you cannot at least minimize the impact of Gronkowski. And that doesn’t even address Hernandez, who really needs to be treated as a wide receiver. The point is clear: a cover safety is at a premium in 2012. The working model the past number of years had always been that quarterbacks, left tackles, pass rushers and corners were the most highly valued players. You may want to add cover safety to the short list.